My new favorite thing is Candy Cane Hershey Kisses. Normally, I’m a lover of extra-dark chocolate. White seems wimpy in comparison. However, I’m addicted to the Candy Cane kisses because they combine the white chocolate with a hint of mint and bits of candy cane. These kisses make an excellent example for what you can do when you combine things that may not be as appealing alone as they are together. For instance, I’m not a fan of regular candy canes, just like I normally don’t prefer white chocolate. 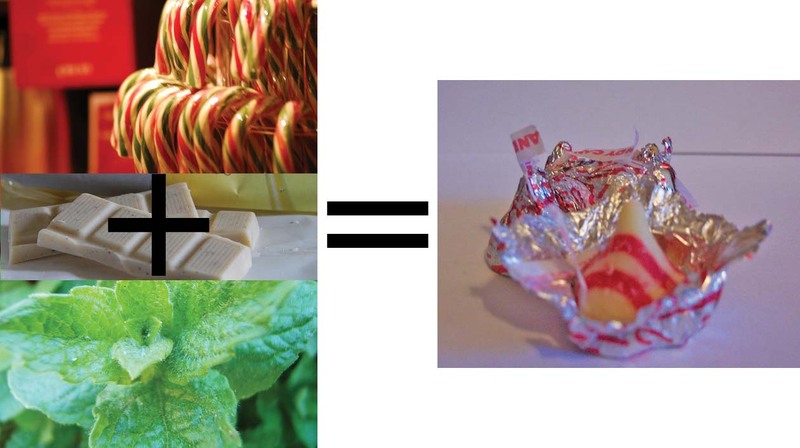 But Hershey’s combined the two, added a little mint, and made me a slave for life. Some of the best things in the world are combinations of two or more lesser known objects. Recipes, and thus food, are the perfect example of this principle. We can enjoy significant pleasure from combining different foods together, more so than might be possible with a single, unadorned food. Sometimes, I think we take combinations for granted, so much so that we overlook opportunities to create new ones. Now, think about the people you know. What combinations do they represent? Consider this: how hard is it to separate Steve Jobs from Apple or Bill Gates from Microsoft? Some people, and things, just go together, and the fit happens so easily we don’t feel a need to question it. Now, think about combinations that leave you uncomfortable. AT&T and the iPhone, anyone? Facebook and your online purchases? Going back to my earlier point about overlooking potential combinations, Noah Kagen makes a great point that, “People have routines. They have their 24 hours in a day and know how they are going to use it.” The best combinations recognize this reality and offer tweaks to improve the current experience in a way that doesn’t require people completely change their routines. A few combinations have broken this rule with impunity. iTunes, for instance, completely changed how people purchased music, but for every iTunes, there’s a pets.com. Success doesn’t require that you start from scratch and come up with something completely new. Many of the pieces already exist. I suspect some of the most successful entrepreneurs recognized this potential and saved their sweat and tears for the really “big” new ideas. You’ve heard the cliché, why reinvent the wheel? Well, we aren’t still driving around on stone or wood tires, so somebody recognized the potential to combine a proven concept with something new that improved the experience. Ultimately, that’s what the best combinations do: they make life better than it was before, even if it’s only a little. The boldest ideas may be right in front of you, passed over by people believing that only the “big” ideas are worth pursuing. Feel like proving them wrong? Images courtesy of MonkeyBoy69 (candy canes), Sir Iwan (mint), and tunnelblik (white chocolate). Sigh. I love new technology, but… Today I tried to do another Utterz, and while attempting to avoid a collision with an individual pulling out in front of me, I hung up. However, my Utterz was incomplete, and I didn’t hit the (3) button, so I figured my Utterz was either lost or hanging out until I could call back. Wrong. My Utterz posted, and my incomplete call doesn’t communicate what I’d hoped. So new users beware—even if you hang up without pushing (3), your Utterz is captured for posterity. For the record, I deleted both the post and the Utterz, however, if you subscribe to my feed, I didn’t catch it quite fast enough, so my apologies for wasting 38 seconds of your time. As a side note to Sim, the guy behind Utterz, perhaps hanging up shouldn’t constitute and automatic post. The Kirlins purchased a lot adjacent to Richard McLean and Edith Stevens (said judge and attorney). During all the years the Kirlins have owned the property, they paid the taxes and fees. Just to be clear, the Kirlins owned the property. Also during those years, McLean and Stevens made free use of Kirlins’ property. I’ll come back to that last sentence in a minute. The Kirlins, in anticipation of building a home on their property, started putting up a fence on the property line. McLean, also a previous mayor of Boulder, and Stevens sued for ownership under adverse possession. For some insane reason, instead of throwing out the case, a Boulder judge ruled that the Kirlins must give McLean and Stevens 1/3 of the lot. Even more painful, McLean and Stevens are asking that the Kirlins be required to pay their legal bills. On top of that insult, the Colorado Supreme Court’s Attorney Regulation Counsel refused to conduct an ethical review of the situation. The situation hasn’t gone unnoticed in the community. A protest, including signs, live music, and refreshments, happened last weekend in front of McLean’s and Stevens’ home. I’m curious, how well do you think their conduct keeps in line with this oath? If they loved the property so much, why not approach the Kirlins about purchasing the lot? Nope. It definitely makes more sense to try to get what you want for free through a murky real estate law. Here’s hoping that karma takes a big bite out of McLean and Stevens. In the same spirit as Chris, it does make sense to express my gratitude for the individuals who’ve influenced my life on Thanksgiving (the U.S. holiday). My Parents—Sigh. While a common answer, I can’t underestimate the role my parents played in my life and current success. As much as I hated it at the time, my parents taught me how to work. That work ethic has been the foundation for everything I’ve every accomplished. My parents also showed me firsthand what’s required to make a business successful. They also believed in me and supported my efforts. I’ve only moved alone once. Every other time, my parents showed up to help. Now that’s real support. My Grandmother—I’ve got the best grandma in the world. Yes, that’s a totally subjective opinion, but she’s been my biggest cheerleader from day one. Instead of constantly inquiring when I’d marry like other grandmas I know, she was excited when I got a promotion or started my own business. I’m in awe of her and what she accomplished (worked full time and raised six kids mostly on her own), so her respect means the world to me. My friend Ann—I met Ann in graduate school, and my initial impression, well, I didn’t think we had a lot in common. However, Ann is a people person who just has a talent for connecting, and she and I connected. With Ann’s encouragement, I entered my first triathlon and managed to finish, cursing her name for most of the way. However, I signed up for my next race within a matter of weeks. Ann showed me that I didn’t have to stay in my comfort zone. And the way she lives her life is a continual reminder to not always take the obvious path. Kim Zarkin—A professor from graduate school, Kim and I struck up a friendship after graduation. We have two completely (well mostly) different world views. Kim is by far the most opposite person from myself that I know, and I’m convinced that to be happy, successful, and well-rounded in life, you need someone like Kim who can challenge your assumptions and speak persuasively about opinions different than your own. I’ve learned so much from my time and conversations with her. Martha Barton and DeAnn Zebelean—These two women have been mentors to me for the last 18 months. Their influence changed my life. Since meeting them, I quit my corporate job and started my own business. They’ve freely shared their insight on how to manage and market a business. They’ve never made my relationship with them feel like a competition, a rarity in mentoring relationships. Plus, while they make no apologies for their success, they never make me feel lesser for being at the beginning/middle of my career versus my peak. Rachel Clarke—Some people hesitate to share what they know. Others are happy to answer all your questions without ever making you feel foolish for asking. Rachel falls in the latter category. From the beginning, she’s answered every question I’ve ever posed and been a friendly face at conferences. I’m also impressed by how Rachel has lived and is living her life. She follows her interests even when they take her across an ocean to another country. I’m hoping that as opportunities present themselves, I’ll have the same courage to follow new paths. 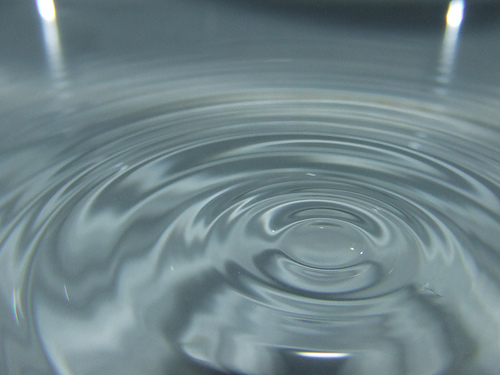 The interesting thing about influencers can be how long the influence lasts and the ripple effect as one influence intersects with another. Hmm…I think I feel another post percolating. For those of you celebrating Thanksgiving today, I hope you reach your destination without any mishaps. For everyone else, have a safe weekend. Yesterday, I happened to catch Oprah’s yearly Favorite Things show. If you’re not aware of this particular event, Oprah uses her show to highlight the items she finds particularly useful/lovely/exciting/fun. She then gives every audience member everything she identifies as a favorite. Out of curiosity, I kept a running tally of the retail prices as supplied by Oprah. Yesterday’s total came to approximately $7,552. Yes, that’s not a typo—every audience member received over $7,000 of free gifts, courtesy of Oprah and some savvy companies, like LG, Samsung, and Williams & Sonoma to name a few. Here’s the list of everything she gave away. FedEx also got its name mentioned more than once. It supplied transportation from Chicago to the show site in Macon, Georgia, for all the gifts. Then, FedEx employees played the role of elves, handing out the gifts to audience members. Other syndicated shows have followed in Oprah’s footsteps, but not on her scale. For example, The View provides guests with one free gift at each show, ranging from DVDs to jewelry. However, these shows do not offer the cachet of Oprah. Think about what Oprah’s managed to accomplish: she’s created a global brand, based on her, that companies value enough to spend thousands of dollars supporting. Although companies get the good karma juice that an Oprah mention brings, consider how much Oprah receives for “giving away” all the free gifts. Even though Oprah clearly indicates that the favorite things are supplied by the companies themselves and not her individually, I suspect people say, “Oprah gave me…” versus, “LG gave me…” By the way, LG’s contribution was its new refrigerator with a built in TV (retail $3795), the most expensive favorite thing ever. 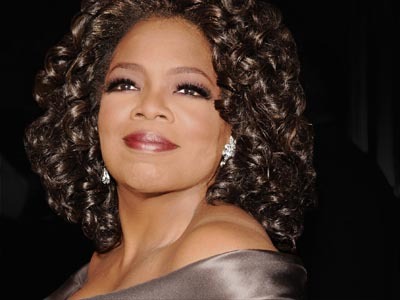 Oprah’s Favorite Things often end up among her highest rated shows each year. At a time when people are using DVRs, and fast-forwarding through commercials, the potential marketing power of ending up on Oprah’s show is huge with a comparatively small cost. With Black Friday less than 48 hours away, I tip my hat to Oprah and the companies who looked outside of traditional marketing, especially for that very first show, and found a format that reaches an interested audience. What are you doing to create a powerful, personal brand? Business incentives handed out by communities and states are interesting things. Government officials are quick to point out how such incentives benefit the area as a whole. Company officials are quick to highlight the benefit of working in a particular community and how much they appreciate said community (i.e., government) support. The language becomes very interesting in these cases. For instance, last week I saw a story in The Salt Lake Tribune that discussed how Utah is offering Goldman Sachs up to $20 million to hire more employees in Salt Lake City. The goal? To add 375 more jobs with an average salary of $75,000. Goldman would receive payment of the $20 million in the form of a tax rebate over 20 years. Goldman Sachs has had an excellent experience in the state of Utah over the past seven years. We strive to be an employer of choice and look forward to growing our business here in the future. …the large incentive is merited because of the company’s high wages. The company’s average wages are significantly higher than the Salt Lake County median wage of $32,828. In addition, the company is making a capital investment in the city of more than $20 million. First, look at Goldman Sachs’ statement: it’s “had an excellent experience in the state of Utah.” Based on this “excellent experience,” couldn’t Goldman make certain projections about the value of increasing its presence in Utah, minus the incentives? Second, look at the state’s explanation. Its rationale is even more curious. Notice the use of the word “average.” From that usage, one can speculate that some salaries will be more and some salaries will be less, potentially affecting the tax rate. Even more intriguing is the state’s expectation that Goldman will make “capital investments…of more than $20 million.” Ultimately, there’s no promises or guarantees associated with either party. For example, what happens if the state pays out a tax rebate over three years, totaling $3 million, and then Goldman Sachs downsizes its Salt Lake offices? Do the potential taxes from those salaries over three years make up the $3 million paid to Goldman? I’m sure minds smarter than mine have already done the math, but incentives rarely benefit both parties because no guarantees exist. I’m inclined to believe that businesses usually come out ahead on a regular basis, otherwise they wouldn’t continue to take the incentives. Incentives don’t make sense, at least not the way they are currently explained. If all involved parties admitted that a certain taint of bribery comes with the concept of incentives, I might find the whole thing more believable. Instead, everyone tries to make it sound as if they are really doing a favor for the other. In this case, the state is doing Goldman Sachs a favor, helping to cushion the overhead of hiring 375 more people. Goldman Sachs is doing the state a favor by hiring 375 more people, increasing the tax base. Ultimately, Goldman Sachs, and any other business for that matter, should make decisions based on the validity of the value to the business, not on artificial money provided by government incentives. And governments shouldn’t kid themselves that these deals are always in the best interest of the community.